PHOTO A: Cut six leg blanks to size. Then use a compass and combination square to lay out the shapes of the legs on the leg blanks. O Cut the six leg blanks to length from 2 x 10 stock. 0 Refer to the Leg Sections drawing, page 109, to draw leg profiles on the leg blanks (See Photo A). PHOTO B: Fasten pairs of leg blanks together with the layout side facing out. Use glue and countersunk screws to attach the parts. 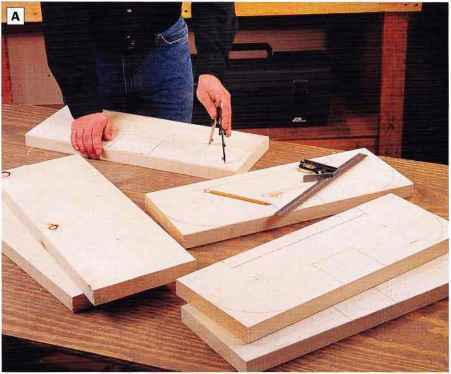 Cut the three legs to shape with a band saw or a jig saw, and smooth the cut edges. Built completely from standard dimension pine lumber, this unique hammock stand is made up of three subassemblies—one center support, two angled uprights and three legs. The foundation of the project is its base, which forms a "sandwich" around the uprights. Gaps in the inner layer of the base function as mortises for holding the angled uprights in place. The uprights and feet are designed to fit into and around the base without the need for mechanical fasteners. 0 Fasten pairs of leg blanks together. Apply moisture-resistant glue between each pair of leg blanks, and fasten the workpieces with countersunk 2V6-in. galvanized deck screws (See Photo B). Be sure to keep the screws clear of your layout lines. them into pairs, but the parts will match more closely if they are cut together. Be careful not to cut the notch for the base too wide. The completed hammock stand will be much sturdier if the base fits snugly into the legs, and you can widen the notch slightly, if necessary, when test-fitting the components later before final painting. 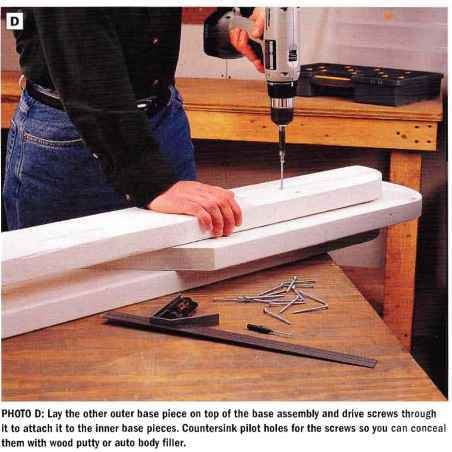 © Fill the leg screw holes with wood putty or auto body filler. Sand the surfaces and ease the edges, then coat the legs with latex primer. © Cut the two outer base pieces, base ends and the inner base to length. Scribe radiused corners on the outer base and base end pieces with a compass. Then mark the 45° angled ends on the base ends and the inner base. Cut the pieces to shape. 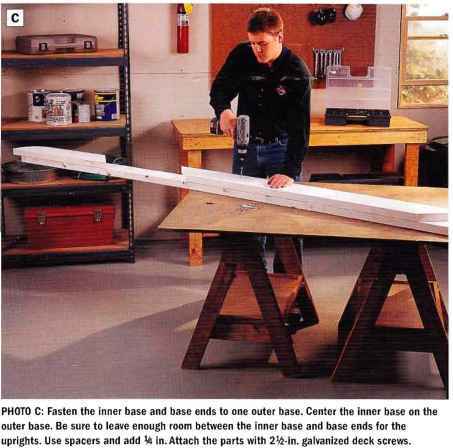 O Paint the base parts with latex primer. Priming the parts now, while they are still separate and accessible, provides the best weather protection. Sand the surfaces and edges well before applying the primer. © Fasten the inner base to the one outer base piece with screws. Center the inner base on the outer base, with the bottom edges flush. For now, tack the inner base in place by driving two screws through it and into the outer base. PHOTO C: Fasten the inner base and base ends to one outer base. Center the inner base on the outer base. Be sure to leave enough room between the inner base and base ends for the uprights. Use spacers and add ^ in. Attach the parts with 2\i-in. galvanized deck screws. PHOTO D: Lay the other outer base piece on top of the base assembly and drive screws through it to attach it to the inner base pieces. Countersink pilot holes for the screws so you can conceal them with wood putty or auto body filler. PHOTO E: Lay out and cut parts for the uprights. Each piece is angled to 45° on one end and has a radiused corner on the other end. A power miter saw will cut the angled ends accurately and quickly. PHOTO F: Prime the parts for the uprights, and use a scrap 2 x 6 as a spacer to offset the outer upright parts from the center three support pieces. Drive screws through the outer pieces to build each upright. uprights. With this spacing determined, fasten both base ends to the outer base with 2Vb-in. galvanized deck screws. Remove the 2x6 spacers. © Complete the attachment of the inner base by driving in the remaining screws (See Photo C). © Install the other outer base piece. Lay the outer base in position over the base ends and inner base, with the bottom edges flush. Drill countersunk pilot holes and attach the outer base with 214-in. galvanized deck screws (See Photo D). 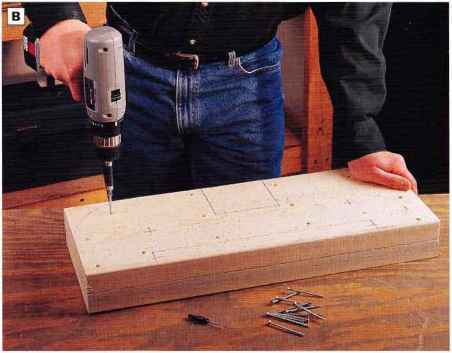 ® Fill screw holes in the outer base pieces, sand the surfaces smooth and spot-prime the screw locations. © Cut the center supports, upper and lower support braces, outer supports and the support trim pieces to size and shape. First cut the various blanks to length, as specified in the Cutting List, page 108. Mark the radiused corners on the support trim pieces with a compass. All these pieces have one corner cut at either a 5-in. or a 3-in. radius, and the other end cut at a 45° angle. 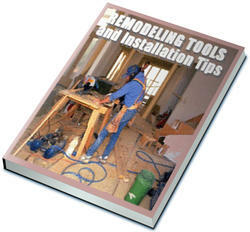 Cut the angled ends with a power miter saw, circular saw or on a radial-arm saw (See Photo E). Then cut the curved profiles with a jig saw. (J) Prime the parts for the uprights. Be sure to sand the curved ends and ease sharp or rough edges before priming. Prime all part surfaces. © Assemble the uprights. 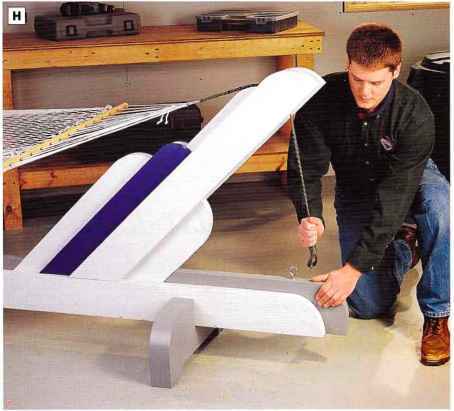 On your worksurface, lay one center support between an upper and a lower support brace, as shown in the Center Pieces diagram, page 109. Clamp a scrap 2x6 board across the supports so that its lower edge is flush with the angled ends of the parts. Position the outer support and the support trim on top of the center support assembly, with their bottom angled ends tight against the top of the clamped 2x6. Drill countersunk pilot holes and attach the outer pieces to the center, upper and lower supports with galvanized deck screws (See Photo F). Stagger the screws so the outer pieces lock the three inner supports together. Unclamp the partially assembled upright, turn it over, and complete the assembly by positioning and attaching the other outer support and trim piece. Again, use the 2 x 6 as a spacer. Follow the same steps to build the second angled upright. (D Before final painting, test-fit the uprights in the base. 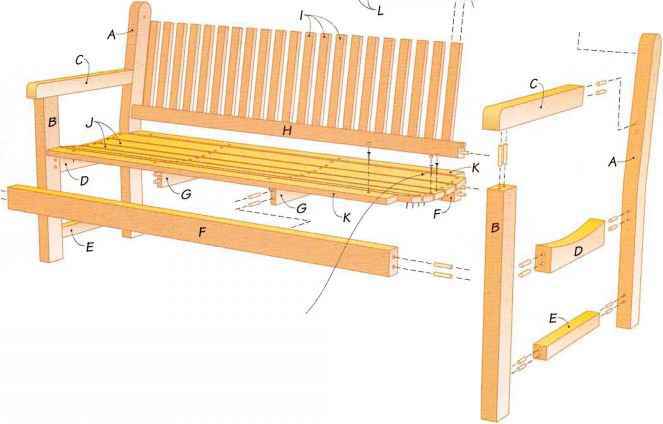 If the leg notches are too snug to fit around the base, enlarge them slightly with a wood rasp or a coarse file. The angled uprights may also need to be sanded slightly to slide easily into their mortises in the base, and the fit will get tighter once the wood is covered with paint. A belt sander will make quick work of this task. Sand the bottoms of the uprights just until the uprights slide easily into the base. 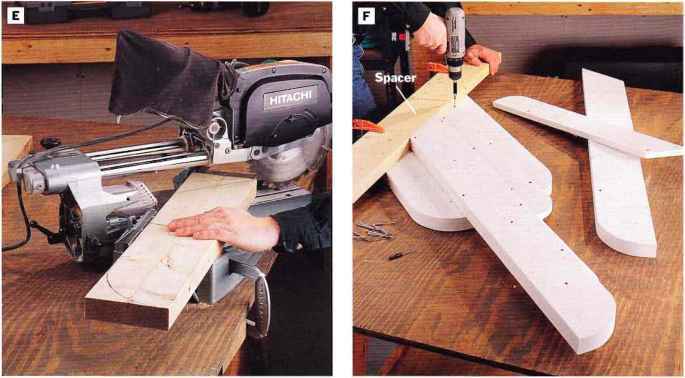 © Fill remaining screw holes, and spot-prime any raw wood or wood filler, especially those areas you sanded in Step 16. Topcoat the base and angled supports with exterior latex enamel pamt, using masking tape to protect adjoining areas of contrasting color (See Photo G). As you can see, we used a color scheme of grays and blues, to give the hammock stand a "silver streak" look. 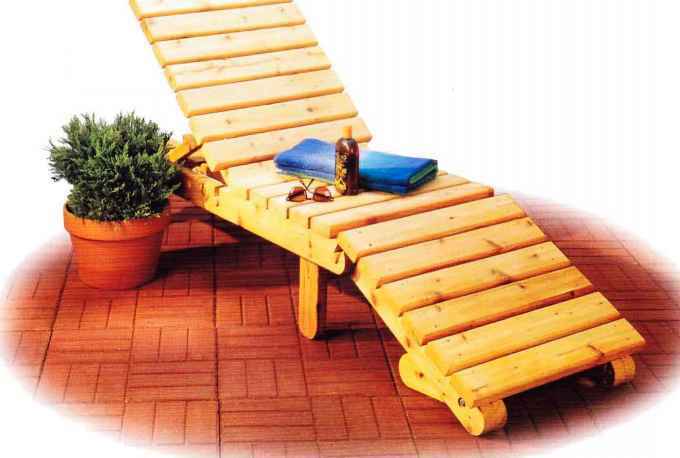 But you can easily substitute colors of your choice to suit your taste or to complement other outdoor furniture. © Install the 4-in. lag screw hooks 8 in. from each end of the base. Drill J4-in.-dia. pilot holes for the hooks. It may help to wedge a wrench or a screwdriver in the curved portion of the hook and use it as a lever to twist the hooks into the base. © Hang the hammock. Assemble the uprights into the base. Install the hammock by stretching it from hook to hook with the rope running between the outer supports on the angled uprights (See Photo H). The end ropes should be short enough so that the hammock hangs taut without weight. Note: You'll probably need to adjust and retighten the hammock ropes as the hammock and ropes stretch from use. 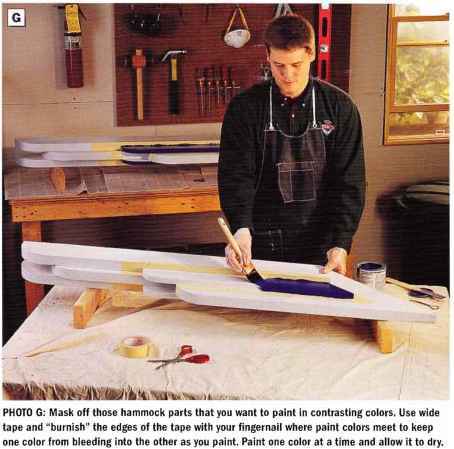 PHOTO G: Mask off those hammock parts that you want to paint in contrasting colors. Use wide tape and "burnish" the edges of the tape with your fingernail where paint colors meet to keep one color from bleeding into the other as you paint. Paint one color at a time and allow it to dry.